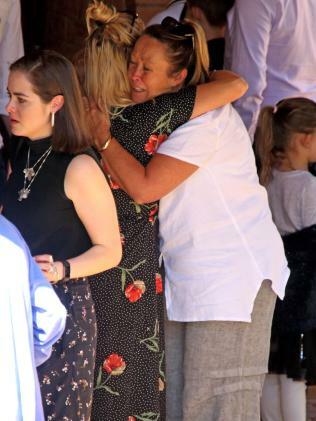 HUNDREDS of mourners have gathered to farewell Australian model Sinead McNamara, a "beautiful, happy soul" who died in a tragic boating accident in Greece last month. 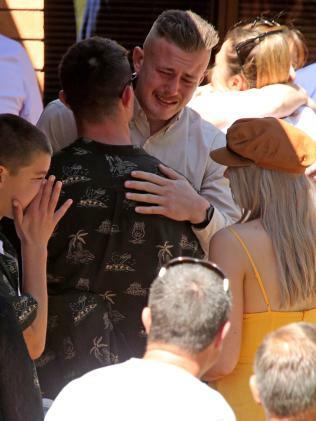 The Innes Gardens Memorial Park in Port Macquarie, 4 hours north of Sydney, was packed with hundreds of Sinead's friends and family for a "loving farewell" from 10am. 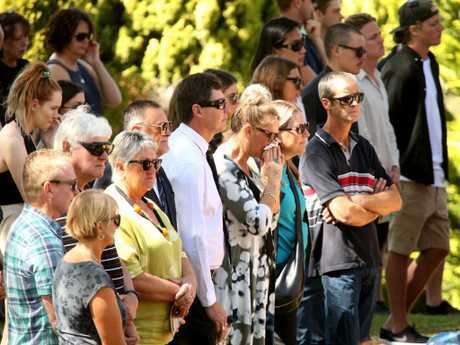 The devastated mourners packed the small memorial centre, dressed in vibrant outfits in memory of the 20-year-old model. Sinead's brother, Jake McNamara, posted the memorial notice to his Facebook page, inviting friends and family to "wear what Sinead would want you to wear" to the service. "We all knew and loved her in different aspects of life so whether that's bright and fun, road trip attire, formal, surfy, boat attire or whatever it is that brought you and her together that is what we would like you to wear," Jake wrote. Known affectionately as 'Grubba', Sinead was remembered as a "free-spirited", "adventurous" and "happy soul". In her eulogy, Sinead's cousin Shannyn told the crowd that she lived "more in those 20 years than many of us in this room will live in many, many more years". Sinead's father, Shaun McNamara, donned colourful socks with her nickname 'Grubba' emblazoned across them and spoke of his beautiful daughter in an emotional tribute. "Welcome home, Grubba. Back to this Great Southern land," he said. Sinead's funeral service will be followed by "an afternoon of sharing memories at Bonnie Hills Surf Lifesaving Club". For those unable to make Sinead's funeral, her family have asked that they "take a moment at the ocean nearest (them)". 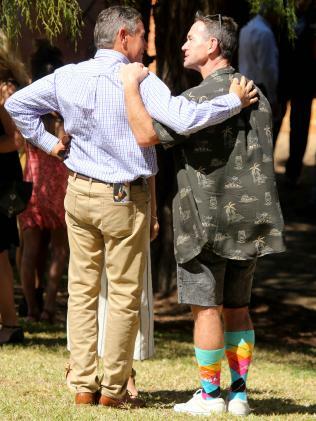 Many of the mourners took the dress code seriously, turning up in flowing beach style dresses, thongs, colourful socks or formal wear. Sinead, 20, had spent the past four months working as a stewardess on the Mayan Queen IV, a luxury superyacht off the Greek island of Kefalonia, at the time of her death. It is understood she had been working her final shift on the six-storey vessel when a crew member found her unconscious, tangled in a rope off the back of the boat. Emergency services flew Sinead to the Hygeia hospital in Athens but she was unable to be revived. 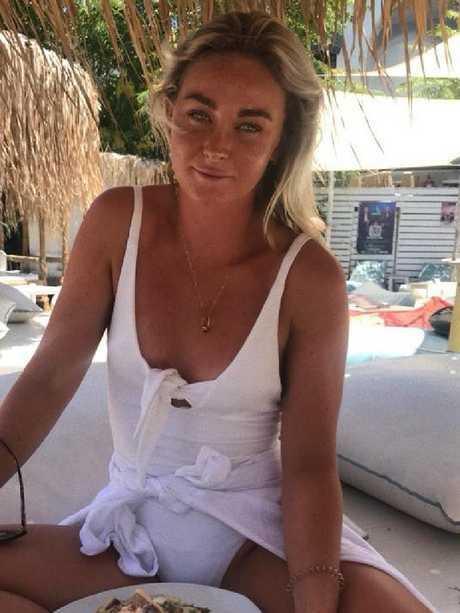 Her mother Kylie McNamara and sister Lauren Carr had allegedly been travelling to Kefalonia at the time of Sinead's death and were allegedly warned by the local coroner not to view her body in the morgue due to the state it was in. Following a full autopsy and toxicology tests, the results of which will take months to be released, her body was recently flown home for her funeral. Sinead McNamara had been working her final shift on the Mayan Queen IV when she was found unconscious by a crew member. Picture: Facebook. 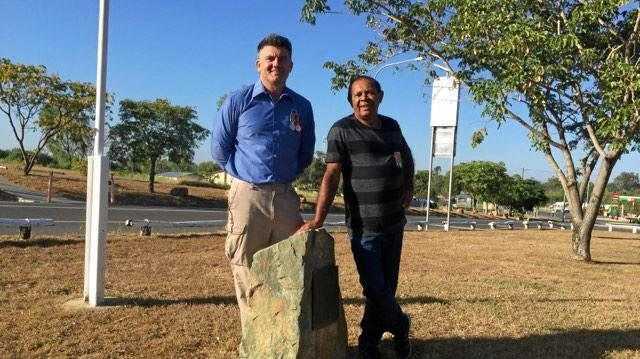 Sinead had been on the adventure of a lifetime, arriving in Greece in June after travelling through Bali, Alaska and the Whitsundays in north Queensland. She had turned 20 just four weeks before her tragic death and constantly posted photos to her social media accounts of her with friends. With more than 14,000 Instagram followers, Sinead would regularly update her fans and posted last month: "Living & working on a boat seeing all that the world has to offer. Yep I think I have it pretty good." Sinead McNamara died tragically on a holiday with friends in Greece. Picture: Facebook. Significant suspicion surrounds the death, with reports that she had called her mother and brother in a state of distress the day before the incident. 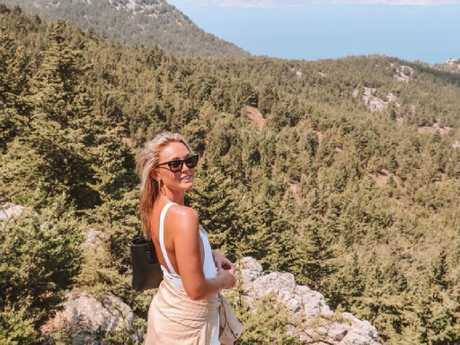 But it has been widely reported that just 24-hours before her death, Sinead enjoyed a night out with friends, dancing, eating and drinking in a bar in Kefalonia. The McNamara family's lawyer, Charalampos Triantafyllopoulos, has spoken to Greek media, stating claiming that he is hoping for a full and thorough investigation from local authorities. "The family expects the Greek authorities to respond to the causes and circumstances of her death and incidents that occurred just prior," he said. "The deceased had telephoned her mother and brother shortly before the unfortunate incident under investigation". 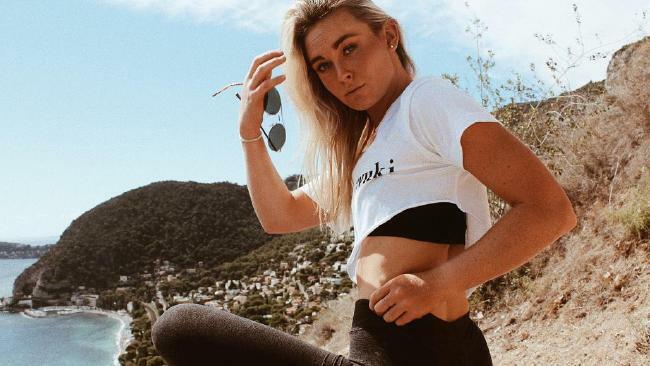 There is some doubt about the length of time between Sinead's discovery and her death but a doctor on-board the $200 million yacht is believed to have attempted resuscitation before emergency crews arrived. Greek authorities are currently investigating the cause of her death, which is yet to be confirmed. Sinead McNamara died tragically on a working holiday in Greece last month. Picture: Facebook.